The Hague is a beautiful city behind the dunes, full of history, royalty and museums, and is only 30 minutes away from two international airports by public transport. We look forward to welcoming you in The Hague in October 2019! * Member of SVN or VDSMH. Full Congress Registrations include lunch buffet on Thursday and Friday, a “grab and go” lunch on Saturday, morning and afternoon coffee breaks and Welcome Reception. One-day Registration: If you do not wish to attend the full Congress (Oct 30-Nov2) ) you may select a single day registration. 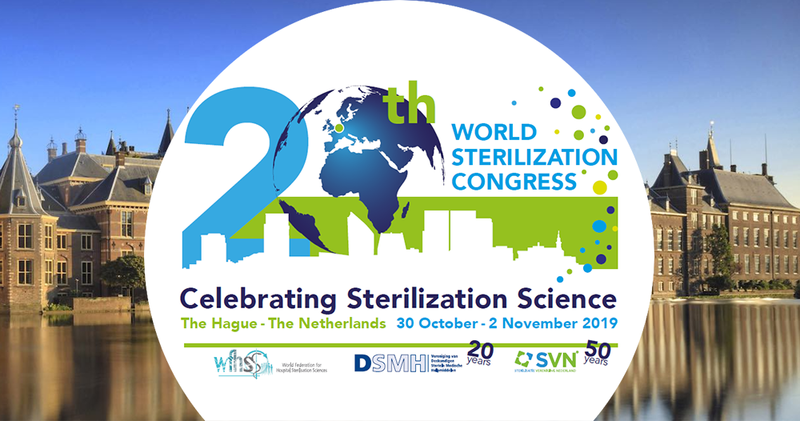 During the registration you can select the day you would like to attend the 20th World Sterilisation Congress. Cancellation of registration has to be made in writing to the Congress Secretariat (wfhss2019@congressbydesign.com). If a cancellation is received before or on August 30 reimbursement of the registration fee and social events, minus 50 EUR handling charges, will be made. After this date, or if registrants fail to attend the meeting for any reason whatsoever, regrettably no refund (registration fee and social events) can be made. If, for reasons beyond the control of the organizers, the symposium is cancelled, the registration fee will be refunded after deduction of expenses incurred by the symposium. If you require an invitation letter as part of your visa application, you can request one as part of the online meeting registration process. Please complete your registration and send an email to the Congress Secretariat stating that you would like to request an invitation letter. No letters of invitation will be issued without a completed registration. We accept payments by credit card, iDEAL and bank transfer. We cannot accept payment by check and debit card. Any additional fees (e.g. bank charges) are at own expense. Payment of the applicable registration fee must have been made within 14 days after registration to secure your participation. Representatives of the press and media agencies with media credentials are welcome to attend the 20th World Sterilization Congress. Contact the Congress Secretariat (wfhss2019@congressbydesign.com) for details of media registration. By registering as media representatives for WFHSS 2019, journalists, press photographers, film crews and other members of the press accept that they must comply with the WFHSS 2019 Press Policy. Failure to do so may result in the immediate withdrawal of press registration. Picture taking, audio/video recording and/or filming at 20th World Sterilization Congress venue without prior permission of the organizers are prohibited. Requests for interviews of speakers or faculty should be sent to the Congress Secretariat. 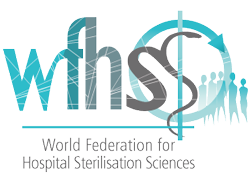 Personal data will be collected, processed and stored by Congress by design (the “Processor”), on behalf of the WFHSS 2019 Congress organizers, in its capacity as data controller, only for the preparation and execution of the 20th World Sterilization Congress, Oct 30 – Nov 2, 2019. Delegates’ personal data will be retained securely and under the applicable law, you may, at any time, request access to your personal data, as well as its rectification, erasure or limited processing, portability of your data, or oppose to the processing by written request addressed to the Data Controller through the e-mail address wfhss2019@congressbydesign.com.